A new article in the Scandinavian Journal of Urology has provided 5-year outcomes data from a large, prospective, single-center study of men in Denmark initially managed on active surveillance. The purpose of active surveillance … is to reduce overtreatment of men with localized prostate cancer … without compromising survival. The data from this study, reported by Thostrup et al., have again confirmed the value (and the apparent safety) of initial management on active surveillance for men with very low-, low-, and even intermediate-risk forms of prostate cancer. Thostrup et al. report data from > 400 patients, all diagnosed and treated at the Copenhagen Prostate Cancer Center in Copenhagen, Denmark. After the initiation of active surveillance, these men were continuously monitored through the use of PSA testing, digital rectal examinations, and rebiopsies, as appropriate. 451 men were enrolled and initially managed on active surveillance, starting in 2002. 152/451 patients (33.7 percent) had very low-risk prostate cancer. 180/451 patients (39.9 percent) had low-risk prostate cancer. 107/451 patients (23.7 percent) had intermediate-risk prostate cancer. 5/451 patients 1.1 percent) had high-risk prostate cancer. The average (median) follow-up is 5.1 years. 142/451 patients (31.5 percent) discontinued active surveillance and received curatively intended treatment. 127/451 men (28.2 percent) underwent such treatment based on clinical progression and study recommendations. 12/451 men (2.7 percent) underwent such treatment based on personal preference. 3/451 men (0.7 percent) underwent such treatment based on a combination of clinical symptomatology and personal preference. The average time on active surveillance before undergoing curatively intended treatment was 1.3 years (range, 0.2 to 7.2 years). The 5-year curatively intended treatment-free survival was 60.5 percent. None of the selection criteria were associated with risk for receiving curatively intended treatment. 11/142 patients who received curatively intended treatment (7.7 percent) experienced biochemical recurrence. The average (median) time to biochemical recurrence among these 11 patients was 0.54 years (range, 0.08 to5.52 years). The 5-year biochemical recurrence-free survival rate was 92.3 percent. All but one of the patients with early PSA recurrence had localized prostate cancer with a Gleason score of 3 + 4 = 7 or less and a PSA level of <20 ng/ml at time of treatment. The one exception had a clinical stage of cT3b prior to surgery. 20/451 patients (4.4 percent) have died of all causes. The patient who died from PCa was diagnosed with cT1b GS 6 PCa following TURP. He did not have rebiopsies taken and underwent RP within 1 year from entry to AS because of a rapid rise in PSA. The final histopathology revealed pT3a, GS 7 (4 + 3) and lymph-node metastases. The patient never had unmeasurable PSA and received hormonal therapy 1.5 months following RP. He died 6.5 years after RP with metastatic castration-resistant PCa. The primary limitation of the study is the relatively short median follow-up of 5 years, which is too short for survival analysis. Inclusion criteria for the study have changed somewhat over time, based on increasing evidence of the potential role of active surveillance in younger men and in selected men with intermediate-risk prostate cancer. … for very low- and low-risk localized [prostate cancer] is feasible and safe in the short to intermediate time frame. Men with intermediate-risk [prostate cancer] had the same risk of undergoing curative treatment as men with low-risk [prostate cancer], without compromising biochemical recurrence-free survival. However, longer follow-up is needed to determine the long-term safety of [active surveillance] for these men. It is also increasingly clear that at least some of the patients from all of these large, relatively early series of patients might not have been initiated on active surveillance if they were diagnosed today as opposed to 10 to 20 years ago. Thus, the already small risk for metastasis and deaths associated with initial management on active surveillance is probably already falling. As an example, the patient enrolled in this study who died of prostate cancer after 7.5 years would almost certainly be given an mpMRI and a repeat biopsy today before he could be enrolled on an active surveillance protocol. 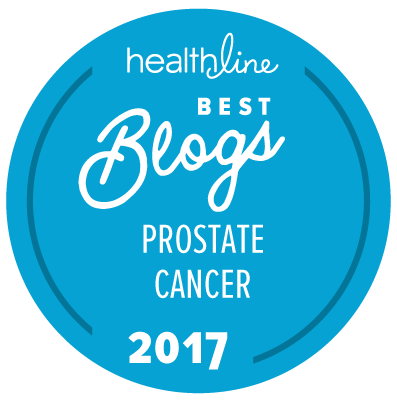 Editorial note: The “New” Prostate Cancer InfoLink thanks Dr. Klaus Brasso of the Copenhagen Prostate Cancer Center in Copenhagen, Denmark, for promptly providing us with a full-text copy of this study report. This was a very informative article. Do you have any information about a study that I am enrolled in, called the Canary PASS (Prostate Active Surveillance Study)? Dr. Ian Thompson began the study about 5-6 years ago. He practices in San Antonio, TX. Thank you for this fine report and analysis! One impressive point, consistent with other major active surveillance series, is that surveillance quickly identified cases that deserved treatment. The above article states: “The average time on active surveillance before undergoing curatively intended treatment was 1.3 years (range, 0.2 to 7.2 years).” Basically, these numbers indicate that most/more aggressive cases were picked up by about the first year, perhaps by a confirmation biopsy. It would be worthwhile knowing whether such a biopsy, about 1 year out, was part of the protocol. The flip side of the numbers is that relatively few more aggressive cases were not picked up until later years. The last published data that I am aware of from the Canary PASS study was reported in 2016 (see Newcomb et al.). I do not believe that this study has reported data since then. Note that 32% of the patients in that study decided to have treatment even though there was no indication that treatment was necessary. This would have significantly impacted the ability to evaluate the effectiveness of active surveillance in these 900+ patients. Dear @Sitemaster. Thank you for yet again providing such a useful curating service on our behalf. Of the 107/451 [originally diagnosed as] with intermediate-risk, of whom x went on to have treatment within the time window of the study, of whom in turn 85.6 percent were BCR free after 5 years (from treatment? ), what is x? 0.856 rationalises to 107/125 but that is clearly impossible so I am thinking 54/63, suggesting almost exactly half (53/107) remained on AS. Is there any way to derive that from the paper? Then presumably most of those fall into the 127 who were treated on progression or study. Does the paper provide a breakdown by grade? Based on the unfortunate “G6” fatality, a good chunk of the progression will not have been Klotz’s 1% p.a. but due to rebiopsy, so the true initial IR population will be understated in the paper. Does it provide this data? (2) There is no definitive x at 5 years because it is an actuarial estimate. (3) What I can tell you is that the data for the men with intermediate-risk disease at diagnosis show that: 65 were being followed at 2 years; 45 at 4 years; 27 at 6 years; 7 at 8 years; and 2 at 10 years (see Figure 2 of the study if you get a copy). (4) This does not necessarily mean that all the others had died or were still alive or anything. (5) Of the 11 men who had treatment and then had biochemical recurrence post-treatment, only three seem to have had intermediate-risk disease at initial diagnosis (based on my evaluation of data from Table 4 of the study, where it defines the diagnostic characteristics of each of the 11 patients), and they were all living at the time of data compilation (at 6 months, 6 months, and 4 years post-treatment respectively). This implies that only 3/107 men with intermediate disease at diagnosis (2.8%) had a recurrence post-treatment. If we take Klotz. etc.. at face value, as I do, another feature which this article seems to highlight is undergrading. I am happy to know (to the extent anyone knows anything in this sphere) my grade based on an MRI-guided saturation and targeted biopsy (26 cores) even though I still feel the initials BC tattooed through my prostate like Brighton rock.